One of the girls at church turned 12 recently. This means she moves up to the Young Womens Programme, and the Beehive class. 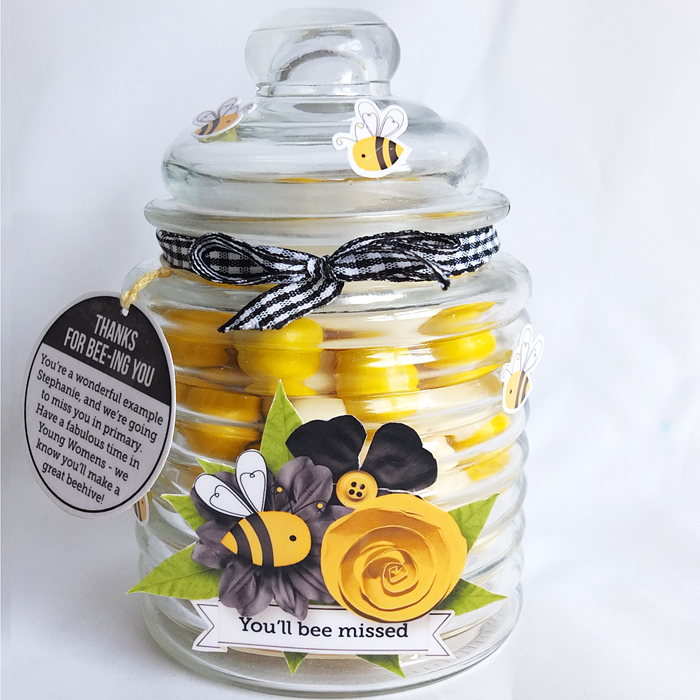 I put this lolly jar together to farewell her from primary. This is sooo adorable! I've found myself browsing the hybrid gallery today trying to find inspiration for my new Silhouette Cameo 3 and I am in love!! What a great idea for the girls leaving primary! !